Aww that's the loveliest hug! Aw! How cute. Big love. 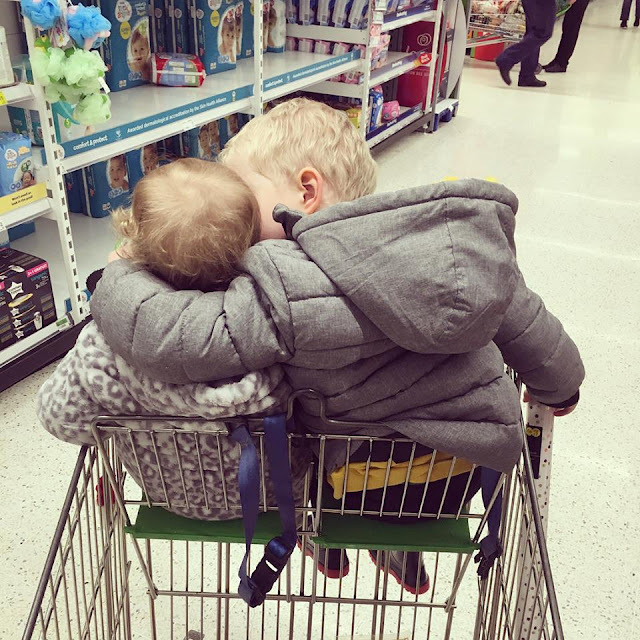 Such a beautiful photo, they clearly don't mind a little shopping. That's the most beautiful photograph, one to show them when they're older and haven't a 'I can't stand you' moment! Good and convenient that your two (siblings) can sit :- Side by side whilst you do the supermarket shop.